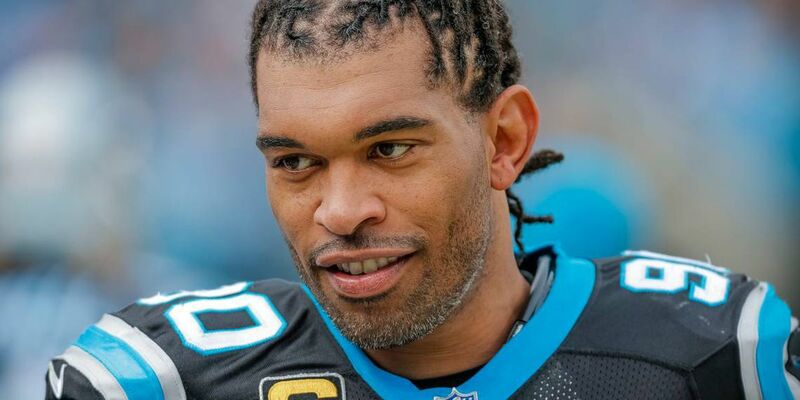 CHARLOTTE, NC (WBTV) - After 17 NFL seasons, Carolina Panthers Julius Peppers announced his retirement Friday morning in an emotional video on Twitter. In the clip, Peppers is seen walking through the locker room removing his belongings. The North Carolina native says he’s thankful for the unwavering support, victories, and sacrifices. Peppers, in his 10th season with the Panthers, ranked second among all defensive players, and holds the franchise record for sacks, forced fumbles, and blocked field goals. The Panthers defensive end was nominated for the Walter Payton NFL Man of the Year Award at the end of 2018. “Julius is one of the greatest to ever play the game of football,” head coach Ron Rivera said. “To put up the numbers he did for as long as he did speaks to his incredible talent and commitment. He is a leader in the locker room and in the community." Peppers donated $100,000 to start the Julius Peppers Hurricane Relief Fund through the Foundation for the Carolinas. Peppers was moved by Florence’s devastation along the Carolina coast and sprung into action. “There are very few players that you come across that make you think of the word ‘special’ when you mention their name, but that’s Julius,” said general manager Marty Hurney. “He’s a special player and a special person." The Panthers veteran did not say what his plans were for the future in the video but says his retirement is not a goodbye.